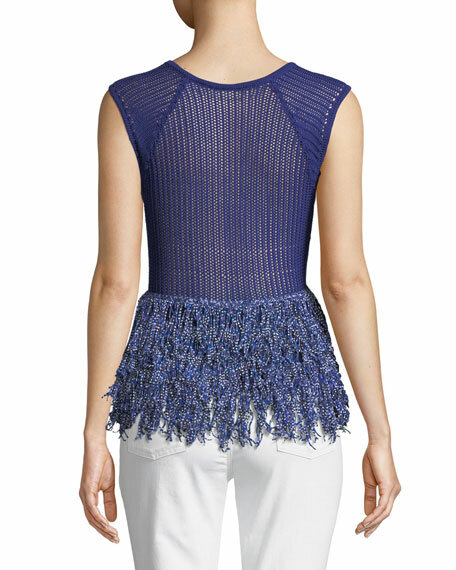 Tabula Rasa "Maldini" knit top with patterned fringe. Borrowed from the Latin word "blank slate", Tabula Rasa is founded on the philosphy that any space we inhabit can become a personalized retreat of comfort, creativity, and style. Created by Emily Diamandis in 2013, the luxury lifestyle label offers ready-to-wear and home accessories. Their knits exude textural complexity through the layering of advanced techniques, and intricate stitches reference century-old fabrics sourced from around the globe. Tabula Rasa is made for the modern journeywoman. 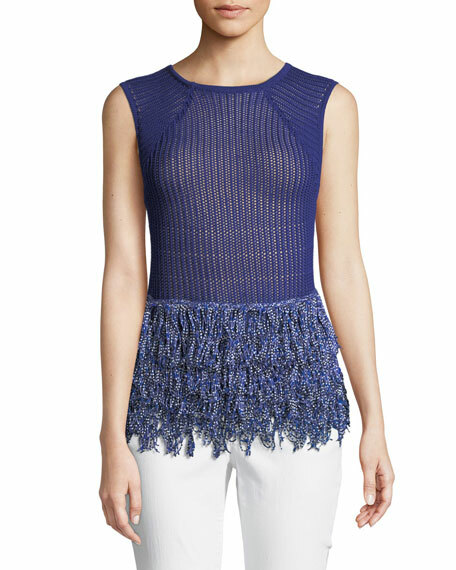 For in-store inquiries, use sku #2521493.